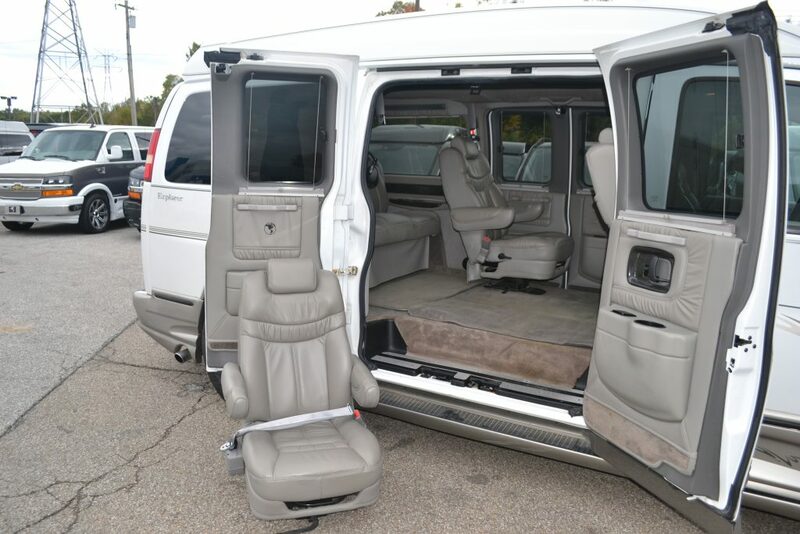 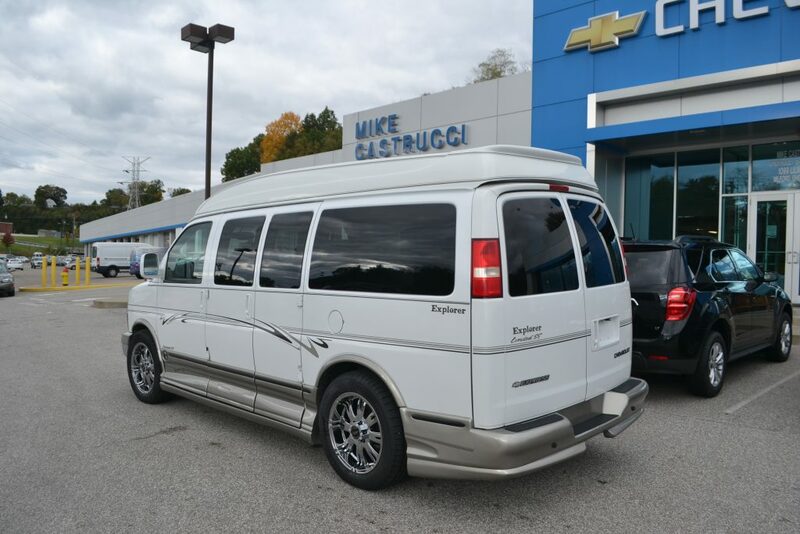 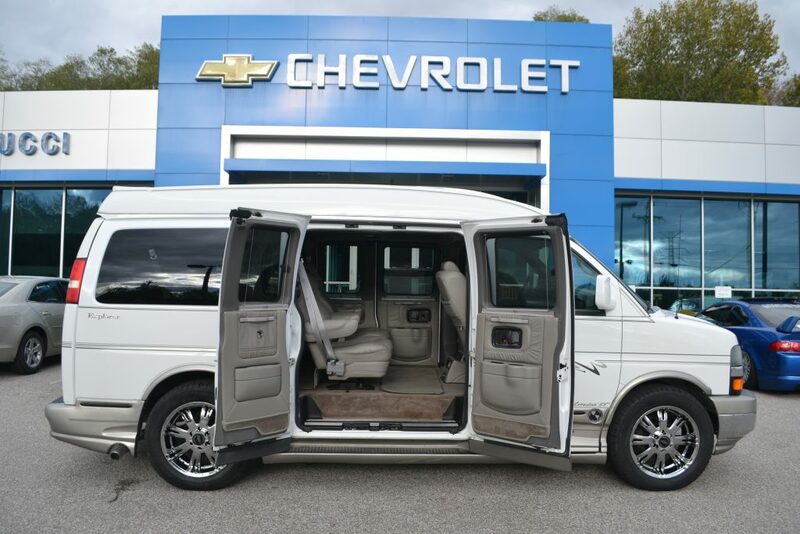 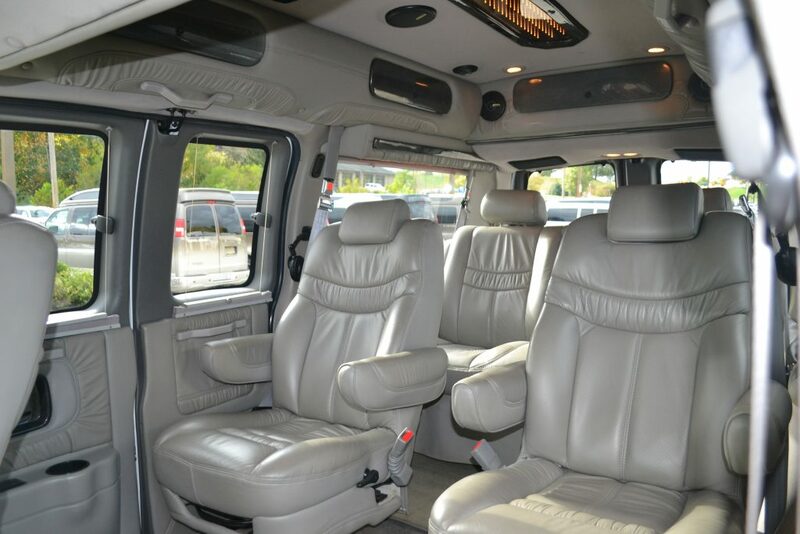 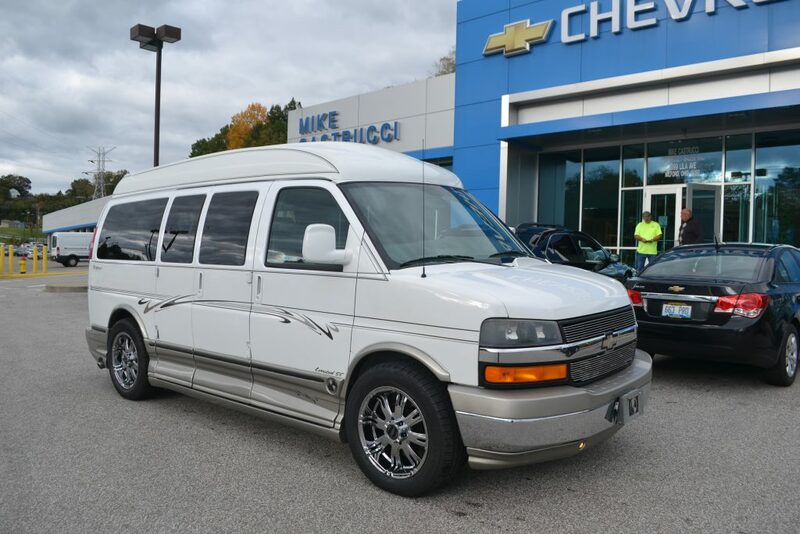 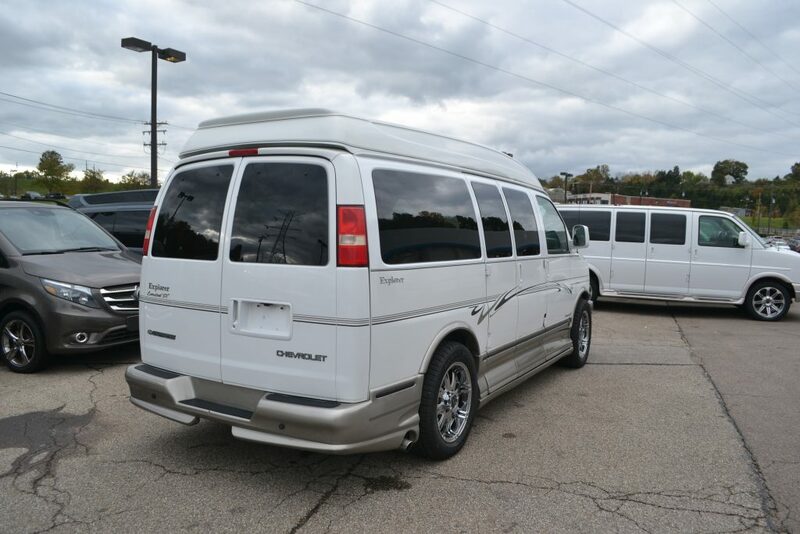 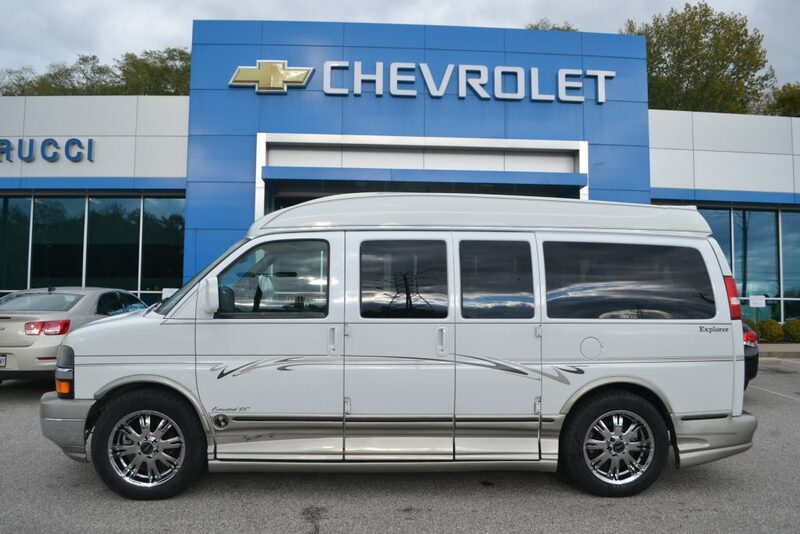 2005 Chevrolet Express Explorer Limited X-SE Hi-Top Passenger Side 60/40 Doors open. 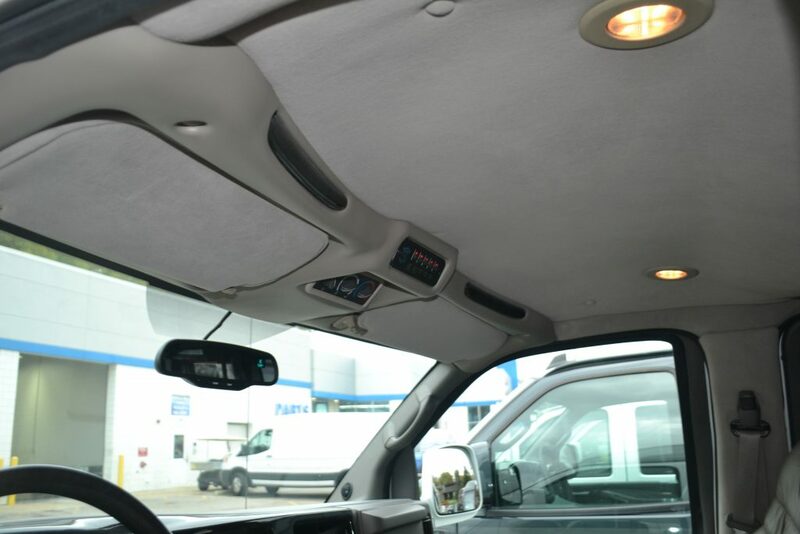 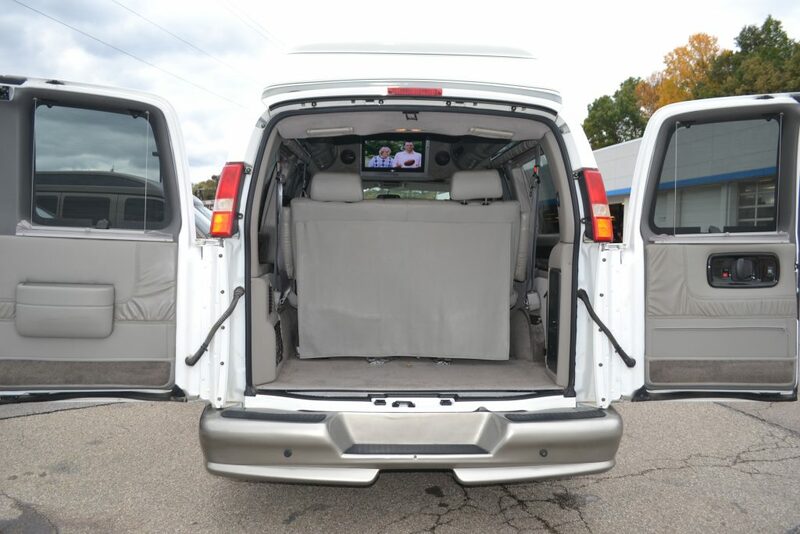 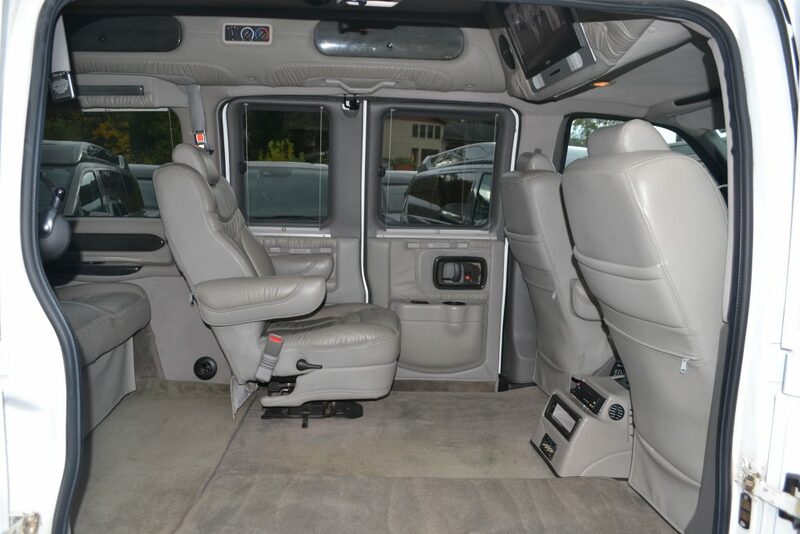 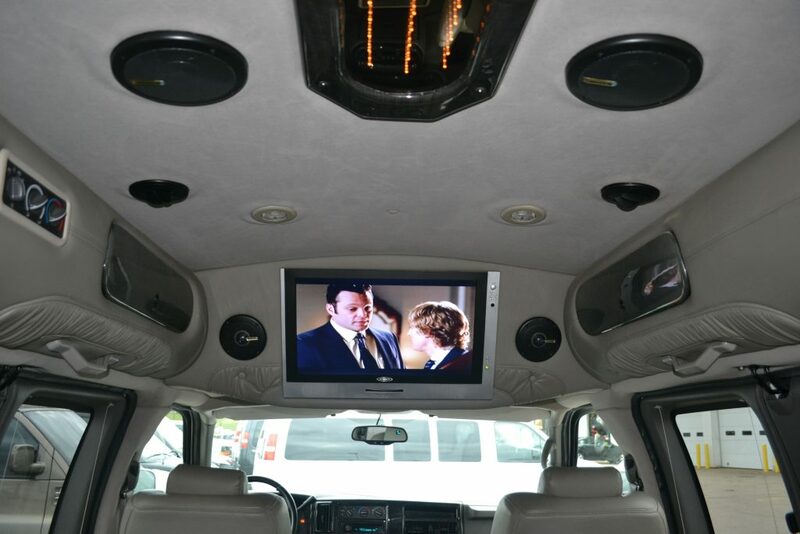 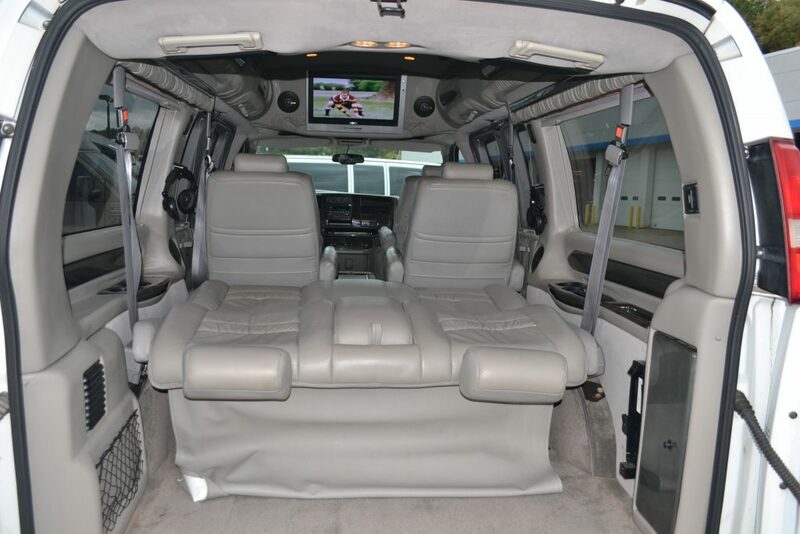 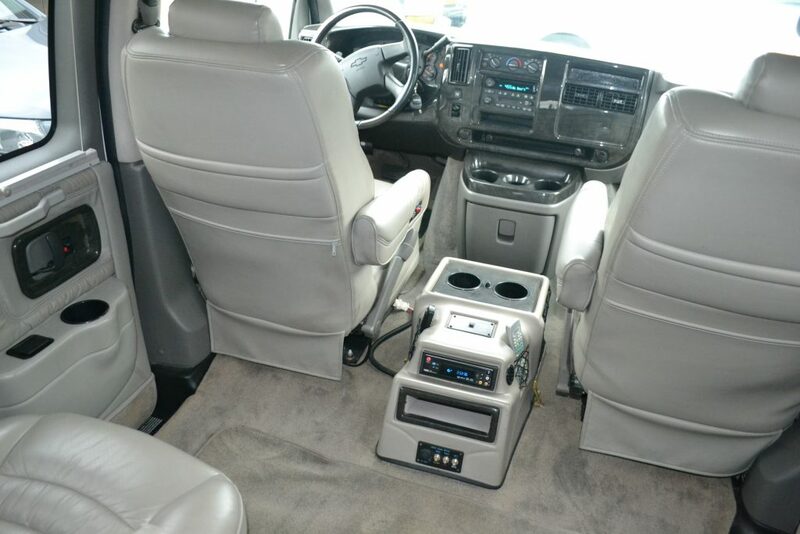 2005 Chevrolet Express, Explorer Limited X-SE Flexible Cargo or Passenger Room. 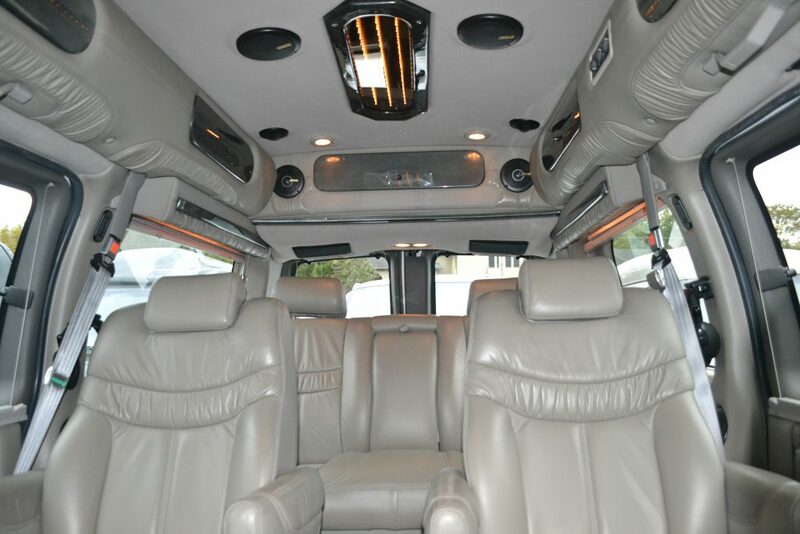 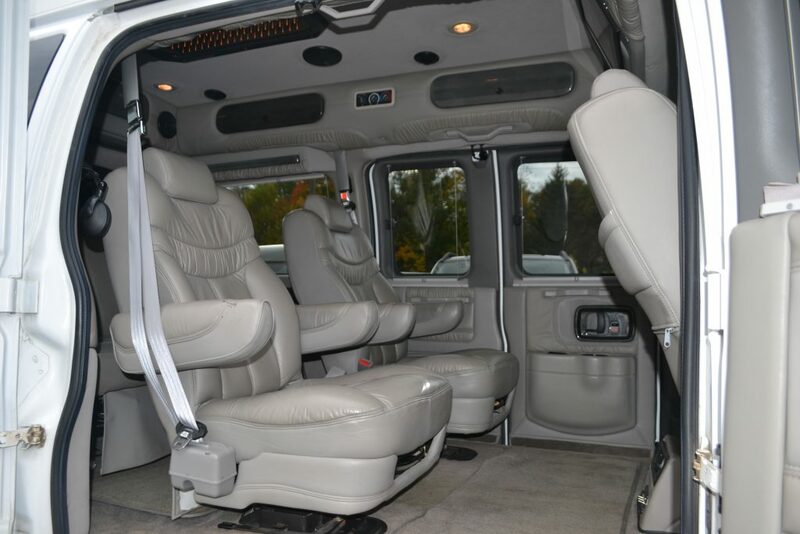 Interior: Dark Pewter Leather Seating, Dark Pewter Carpet, Pewter Sidewalls, “Denali” Hi Gloss Wood Accents & Trim Throughout. 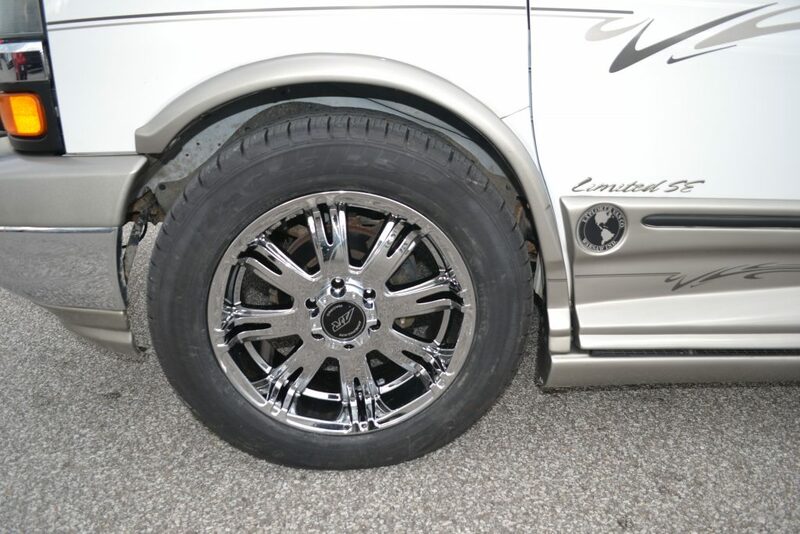 Front Spoiler: Yes, with Driving Lights and Front Step Plate/License Plate Holder. 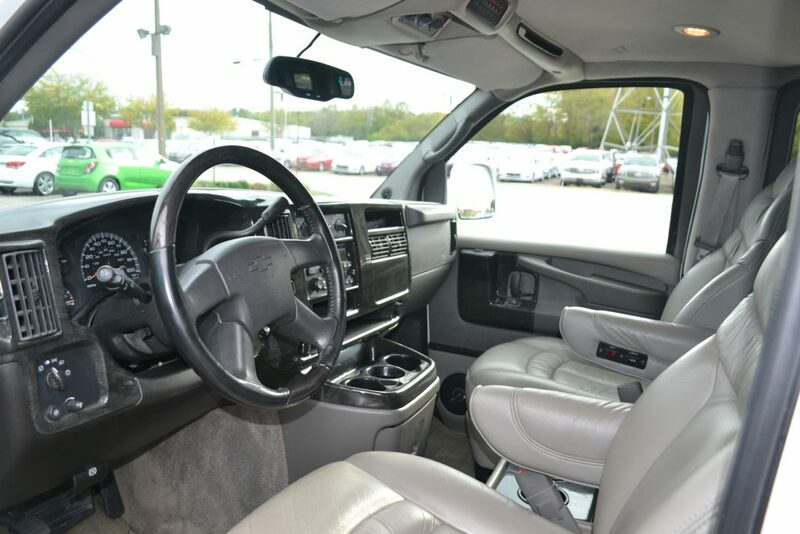 Accessories: Power Windows, Mirrors and Locks, Keyless Entry, Cruise Control, Tilt wheel. 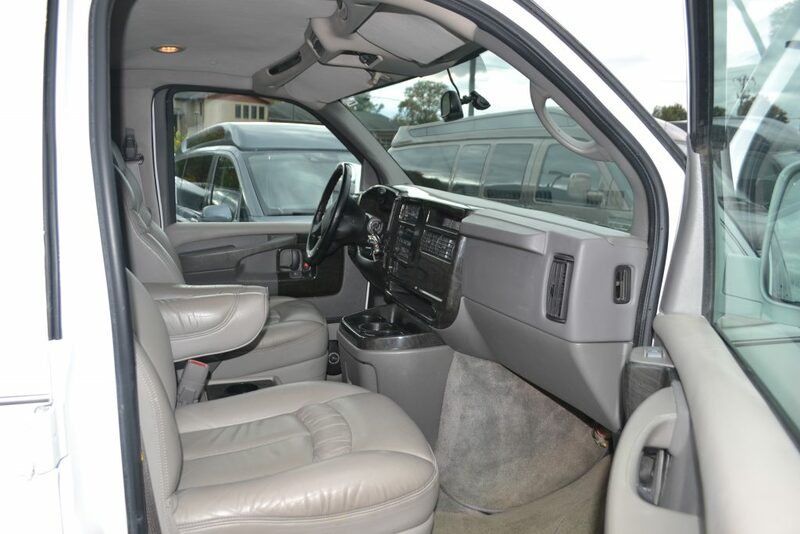 12v power points throughout, 145 Amp Alternator, Leather wrapped Tilt steering wheel, Heated mirrors.